Donuts are the Hansel of the pastry world: so hot right now! But with so many variations out there, it can be hard to tell your crullers from your long johns... and that's before paczki join the party. 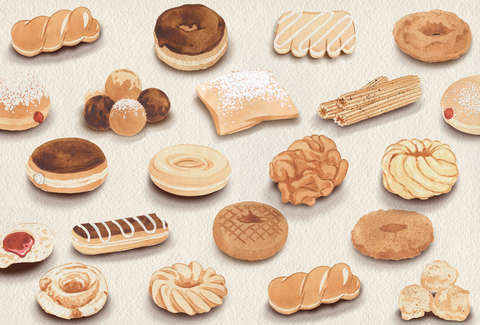 To help you sort through the pastry case, we enlisted illustrator Meghann Stephenson to create a handy guide to the most meaningful donuts out there. Come for the glazed. Stay for the zeppole.